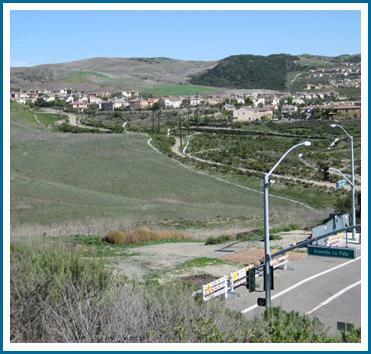 Orange County is prepared to finally complete the two mile “gap” between La Pata Avenue south of Ortega Highway (just outside of San Juan Capistrano) and La Pata Avenue (in San Clemente at Calle Saluda). The proposed project would also extend and connect Camino Del Rio to La Pata Avenue in San Clemente. The La Pata gap closure, if it is finally built, has been a long time in the making. The existing La Pata Avenue segment located in the County of Orange was built in the 1970s as a small access road to Prima Deshecha Landfill. A “completed and connected” La Pata Avenue and Camino Del Rio have been included on the Orange County Master Plan of Arterial Highways since 1963. The current gap closure project is the latest development in an effort that began in 2005. The gap closure will complete this section of Orange County’s master arterial highway system and create an inland link between San Juan Capistrano and San Clemente. Currently, residents of Talega and Ladera — although just four miles apart — would make a nearly 30 minute round trip and burden the 5 freeway — to pay one another a visit. Not will the gap closure increase access to these two communities (and surrounding areas) to parks, shops, schools and recreational activities, but having multiple transportation corridors is essential in the event of an emergency. Just imagine the 5 Freeway in the event of an accident at San Onofre! Several alignments were considered, but the preferred alignment maintains a minimum of 350 feet from the nearest residential unit, veering away from the Talega homes as it approaches San Clemente (see image above for the preferred alignment and several alternatives that were considered). To further reduce the impact of the new road, La Pata will be engineered in a cutaway section of the hillside such that it will not be visible from most of the homes, being shielded by natural hillsides or manufactured berms. See below for a schematic drawing showing how this will be accomplished. Trail connections and bicycle lanes will be preserved. Financing remains uncertain, but if the funds materialize, the County anticipates construction could begin as early as 2015. 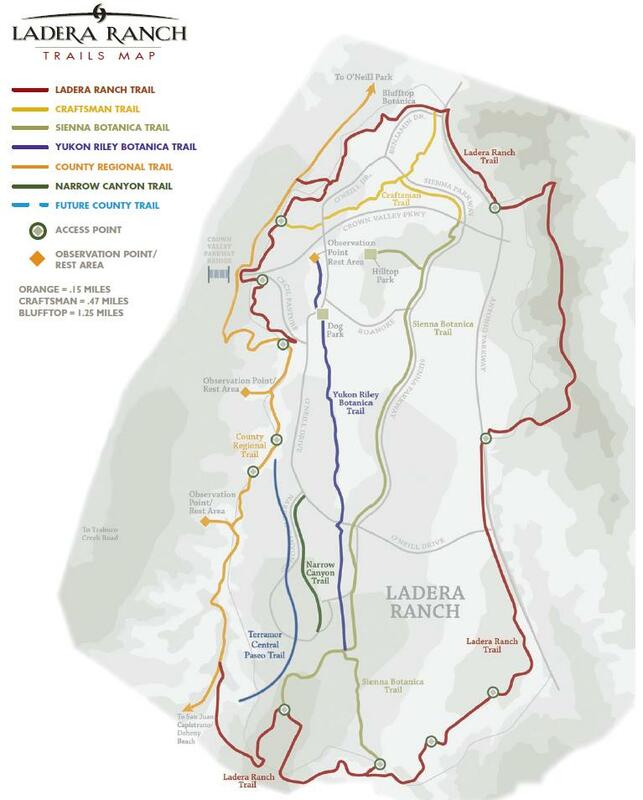 The OC Public Works Department maintains a project page for the La Pata Gap Closure project here. We’ve also added a permanent link to the La Pata project page under “Documents” in the right sidebar.